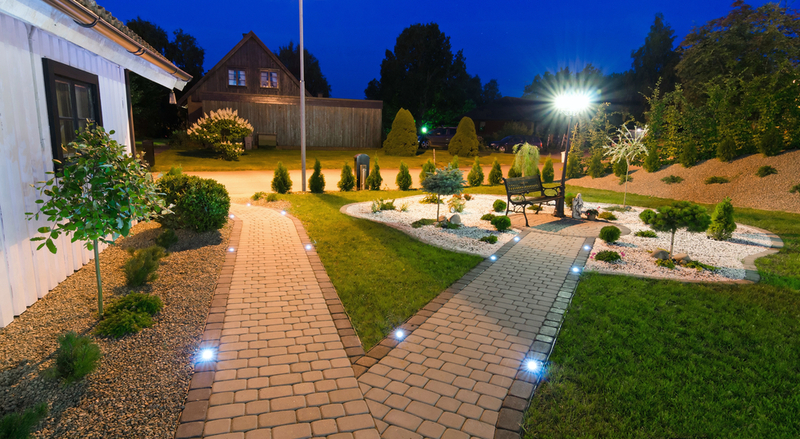 Outside LED lights are perfect for adding ambience to your garden. If you are looking for the best way to photograph your new outdoor LED lighting and have so far struggled to find the perfect environment to capture them at their best, feel at ease that your troubles are now over. Here are a few simple changes you can make to capture your lighting in all its glory. Most people would assume that waiting until full dark would produce the best and clearest photo of the lights. But unfortunately, if it gets too dark all that will show in your picture is the light emitted, and none of the surroundings. There is, however, a perfect time to photograph outdoor lighting apparently, as many have stated that the natural lighting perfection period lies somewhere between sunset and full dark. It is best to set up early and take several practice shots to see the difference between the lights showing up in each shot. There will only be a few minutes of perfect light where your lights and surroundings will show perfectly, so make sure you shoot fast. It sounds fairly obvious, and rightly so. Using your flash will diminish the relevance of the lighting in the shot, and seeing as the lighting is the focus of your shot it takes the whole point away really. The lights themselves will be your flash, as will the fading sunset. Your camera’s white balance should be set to incandescent (or tungsten, if that is how your camera describes it) as if you’re shooting indoors without the flash on. You may need to fiddle with the white balance a little to perfectly capture the lights in the shot, but as the lights are tungsten based this will definitely enhance their shine. Also, if you’re going to include the sky in your shot, the tungsten setting will help you to capture it in a fantastic royal blue tone as the light balances out. Don’t make your lights the only thing found within your picture, as without any surroundings they can’t possibly hope to stand out nearly as well. Frame your shot well so that there is plenty to see around, but the light is clearly the main focus. A reflective foreground like water or maybe even a car bonnet reflects the lights back off it and causes an even more dramatic effect that earns your shot extra points by the second. Your eyes will not be able to process the changes in the lighting surrounding you as well as your camera will, so to properly monitor the changes in each shot make sure you check back on the camera and note how the fading light affects the shot. With this, you can alter your shot to perfectly enhance your lights’ performance, in a way that your own eyes wouldn’t have helped you to achieve. 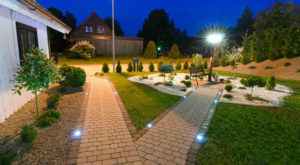 Applying these changes to the way you take your photographs should definitely help you to achieve the results you’ve been looking for, and means that you can capture your brand new LED lights in your freshly gardened yard with pride that no man can match. This entry was posted in Uncategorized on April 12, 2017 by adminphotine. Many of us will have photographs from our younger, pre-digital age days that we want to keep safe. Storing them digitally is the best way to ensure they don’t become damaged, worn or discoloured over time. Scanning them is the simplest and most effective way to achieve this. It allows you to transfer these photos to your personal computer to save in multiple locations and even share with your friends and family. However, scanners do have a handful of limitations, one of which can be size. Some photographs we are wishing to save digitally may not actually fit on a regular sized scanner bed. This is often the case with professionally taken photographs – such as those taken on wedding days – that have been blown up and printed to a large size. You can get around this by scanning the photograph in several parts and digitally cropping them together. It sounds like a lengthy and complicated process, especially for those who are not proficient with software like Adobe Photoshop. However, it can be done fairly easily whether you are a Windows user or a Mac user, by using panoramic stitching software. This is the process of stitching a series of photographs into a panoramic. Professional photographers will often use the process to make large, wide landscape picture. However, it is also a great way for anyone to scan large pictures from a scanning bed. Scan one bit at a time until the entire photo has been digitized. Once that’s done, you can overlap the sections carefully – zoom in and make sure it is as accurate as possible – to create the full image. Using image editing software – something as simple as iPhoto for Mac users will suffice – you can then adjust it so that colours, contrast and brightness are consistent. This entry was posted in Uncategorized on April 2, 2015 by adminphotine. Illustrators and artists probably have the trickiest time choosing a scanner with which to digitize their work for the World Wide Web. Not only will they need to check general essentials such as scanner speed, software and usability; they’ll also want to make sure their scanner is good enough to show their work in its best light, which means a rich colour depth, crisp edging and accuracy for details. Whether you perfect your craft using watercolours or inks; design comic strips or fine paintings…you’ll need to choose a scanner carefully if you are set on achieving a result that is professional, clean and impressive. It’s important to be using a scanner that can accommodate larger documents and delicate line details in order to capture the essence of your work. Whilst all-in-one scanner-printers are getting more adept at covering all purposes, it’s probably still best to get a dedicated scanner for art and illustration so you can be sure its features will enhance your work. When shopping for a reliable scanner, here are some things you’ll need to think about. A larger scanning area will work to your advantage, particularly if you are scanning larger paintings or prints of A3 size. Whilst most scanners come with an A4 area, minimal edging and a flatbed design will still make it easy to scan more cumbersome pieces in sections and piece together later. The resolution of a scanner is normally written as two numbers (1200 x 2400 for example). You only need to pay attention to the ‘optical’ resolution of your scanner and should focus on the first number only. A good scan quality will usually only need a resolution of 300 x 600, but bitmap line work will require at least 1200. Get some advice from similar artists or illustrators or surf artist forums to see how they get the best results. Raised edges or ‘gutters’ within the scanning area could cause unwanted shadowing on your scans, or make it difficult to lay larger pieces completely flat. Look for ones with minimal edging and no protruding elements that could get in the way. Glass panels also make the process much easier as you can clearly see the section of the work that is to be scanned. Speed means less waiting around, and inevitably more productivity on your part. If you have a lot of work to scan on a regular basis, speed is likely to be your priority. Look for a scanner with a USB 2.0 connection if possible for a guaranteed satisfactory scan rate. A FireWire connection will work even better. It’s useful to know exactly what you’ll be scanning before you shop for a designated scanner, so you can check it has all the features you may need. Will you be scanning transparent materials or film slides? Will it need to be compatible with your current operating system, or other software you use, such as Photoshop? Do you want an easy, fuss-free electronic filing system in place for all of your scans? Check your scanner’s software features, fax and copy capabilities and any other compatibility elements before you buy. Most illustrators recommend Epson scanners as the brand of choice when it comes to illustration and design. Here are some of the most popular and highly reviewed Epson models for giving you beautiful and immaculate, natural-looking scans. The Epson Perfection 4490 Photo is said to be one of the best flatbed scanners if you have a large batch of film slides you wish to digitize (sized 35mm and 2.25 inch). It offers an impressive 4800 ppi, a colour restore feature and digital ICE dust and scratch removal. Read PC Mag’s full review for more details. This model has been recommended by animation and illustration bloggers across the web, and brought about significantly superior results when compared to rivals like the HP Photosmart. Notable elements include its ability to maintain a scan supremely close to its original, rich colour, and a consistent scan quality. This A3, 600 dpi scanner will accommodate larger 11 x 17 sized pieces such as comic book strips, paintings or prints – particularly useful if you not wish to scan your work in small sections. At £1710, it is the cheapest of its type and comes with a 4 line CCD line sensor for vivid colours and crisp detailing. This entry was posted in Uncategorized on July 23, 2014 by adminphotine. When it comes to scanning external resources such as books, magazines and compiled documents, things can get a little tricky. You’ve got feed-in scanners that aren’t any help at all, and then there are the traditional flatbed scanners. While the latter are certainly useful in capturing those favoured pages, they also come with a set of fiddly drawbacks, such as the lid not closing, books being skewed, and page corners being curled under in the squash. Enter the Fujitsu ScanSnap SV600. If there was a time to convert to the contactless scanner, this baby proves that that time is definitely now. The ScanSnap SV600 makes scanning those heavy or bulkier items a doddle thanks to its overhanging motorised scanner head, under which its black felt mat makes the ideal scanning area for your manuscripts. There’s no annoying shadow like there is with some contactless scanners, and the ScanSnap is capable of handling documents up to A3 size. So let’s start from the basics. The Fujitsu ScanSnap has a speedy scan rate of 15 ppm, and the result is a clean, crisp 600dpi, with good contrast and no distortion. This makes the scanner perfect for document and book-archiving systems, as well as replicating photography and perhaps even artwork. Its clever depth-of-field calculations enables it to scan (and later correct) curved pages on books up to 30mm thick, and the user can set an interval time between scans to give them time to turn the page (though the ScanSnap can also do this automatically with its page-turning sensor). The scanner’s black felt mat, as mentioned earlier, makes a great scan base. It removes glare and provides markings for accurate positioning. It is also rubber-backed for firm stability on almost any hard surface. The ScanSnap is compatible with Windows 7, 8 Vista and XP, and also with Mac OS as well. It comes with free Adobe Acrobat software (standard edition), as well as ABBYY FineReader 8.0. Fujitsu’s ScanSnap Manager allows you to make simple yet effective changes to your scan really easily, popping up as soon as you hit the scan Start button (though some might find this annoying if they plan on using alternative software). ScanSnap Manager gives you options for all the most basic things you’ll probably want to do with your scan, such as save it as a searchable PDF; print it; send as an email attachment; edit in a Microsoft Office program or move to a cloud storage system like Google Drive or Dropbox. Its editing tool also allows you to conveniently flatten out curved pages and erase visible fingertips that may have been used to hold down page edges. You can also crop your scan, reposition the book centre and fine-tune its edges. The ScanSnap will impressively automatically detect multiple documents, even when they’re strewn all over the scanner mat. It will create separate documents for each, and align them all perfectly using its anti-skew measures. If scanning a double page, the software will also allow you to indicate where the book’s spine is located, before proceeding to merge the two separate pages into a seamless double page spread. An additional feature that would no doubt be useful for many people is the scanner’s scan-to-mobile function, which sends a scanned image straight to your tablet. Simply download the Connection Application to your device and enter the IP address of your host PC. Be sure to run the hosting component as you press the scanner’s Start button. Contactless scanners are the next generation of scanners allowing us to effortlessly scan books, magazines and even framed photographs or artwork without damaging spines or pages in the process. Because no part of the page is pressed up against the glass (as it would be with a typical flatbed scanner), it generates a smoother image, even when scanning uneven surfaces, like a book with lots of sticky notes. In the case of the Fujitsu ScanSnap SV600, there is also the bonus of having time to turn pages in between scans, so you don’t need to disturb the scanning process in order to capture multiple pages. This entry was posted in Uncategorized on July 17, 2014 by adminphotine. Scanning books is one of the most common reasons for using a scanner. As most photography is now digital, you no longer need to use a scanner to store them on a computer. Most office documents are now sent via email too, meaning Word or PDF files provide a quicker and cheaper option to paper. However, books are something of a different issue. It’s often difficult to find digital copies of books, and when you do they are rarely free. If there are pages you wish to save to your PC, smartphone or tablet, scanning is really the only option you have. Students might want to do it to save learning resources for assignments or revision; teachers might want to do it to distribute pieces of text around a class. There is one problem though — it’s hard to find a great scanner for books. As they are large and thick, your standard devices are generally incapable of supporting them. If you wish to scan multiple pages, furthermore, it’s challenging to find a scanner able to perform this at a decent speed. But don’t worry, there are plenty of options out there for scanning books. Here are some of the best that you can purchase. Fujitsu’s state of the art scanner is groundbreaking for several reasons. For those who want to scan books, it has capacity to work with documents that are up to 30mm in size. This might not allow you to scan the entire hardback of War And Peace, sure, but most books will be able to fit under the device very comfortably. However, the Fujitsu ScanSnap Sv600 is probably most notable for its quality and ease of use. The lens that scans the pages operates from above and has a deep depth of field. It means that it produces a steady and consistent high quality image from edge to edge. The Fujitsu ScanSnap Sv600 also comes with page turning detection to scan automatically when you turn a page and boasts the technology to correct any damage to the images when scanned. Usually when you are scanning a document, you are expected to bring it to the scanner. Kodak’s Sceye puts an interesting spin on this. Designed more like a lamp than a traditional scanning device, functioning with an extendable arm, you can scan documents right off the desk in front of you. You can just take it to the library or arch it over your workspace and simply let the Kodak Sceye do the work. It also comes with auto-scan technology to detect when there’s a new page under the scanner and begin work without prompt. As the name suggests, this Epson scanner is geared more towards workforces than individuals. This means it comes with a hefty price tag and is far from ideal for, say, students residing in their dorm rooms. However, if scanning books is part of your profession and something you do on a regular basis, the Epson WorkForce DS-50000N is hard to beat. It’s a one-touch scanner that can process a page in just four seconds time and at a very high quality. It’s capable of scanning thick and bound pages and comes with a Book Spine Correction technology so that the results are as crisp as the original copy. This entry was posted in Uncategorized on June 23, 2014 by adminphotine. Photine is a new website, where we will be passing our opinions on the latest and greatest in the imaging world. Our main expertise is Scanners, but Cameras come a close second. We hope to give general hints and tips on buying your next scanner, including reviews of the latest products. Who are we ? 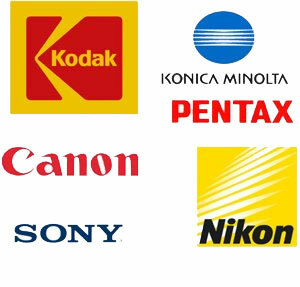 We are a group of people working in the imaging sector including Digital and Analogue photographers, and even a scanner sales person. We aim to give full bio’s in the future, so come back soon. A few of us use scanners to scan our old and new negatives. We also use scanners in a workplace for scanning books and general documents. This entry was posted in Uncategorized on May 23, 2014 by adminphotine.